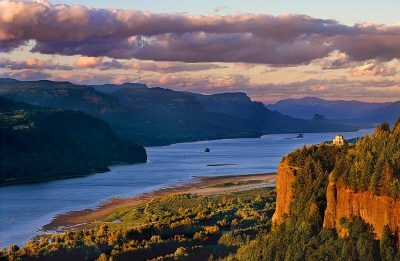 Oregon’s Mt. Jefferson is a beautiful mountain from any perspective. Viewing Mt. Jefferson from the west, looking east is one of my favorite perspectives. 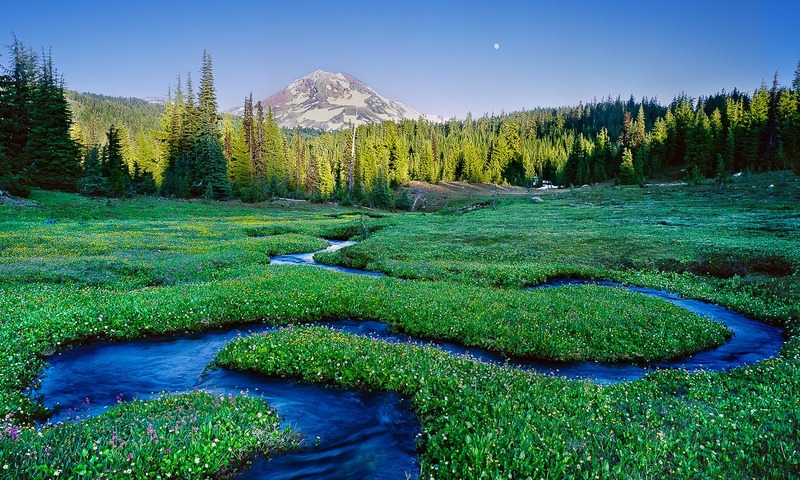 I’ve hiked in Oregon’s Old Cascades countless times, usually in spring as wildflowers bloom relatively early there. The location where I captured this beautiful Mt. 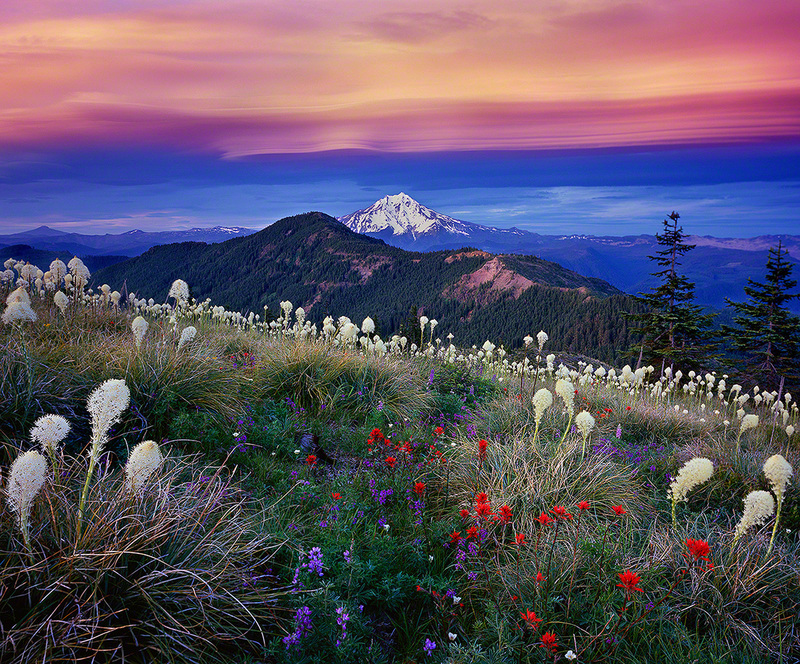 Jefferson sunset is noted for fantastic blooms of Beargrass, Xerophyllum tenax, the big white flowers seen in this image. I love the natural composition of this location but when I visualized this image, I knew I needed more than just beargrass. I’d hoped for a blush of color, potentially including Red Indian paintbrush. I had scouted this location several times and knew that sunset would be my preferred shooting time as that would minimize contrast in the scene. I found this grouping of wildflowers on July 2nd and knew they wouldn’t be a peak bloom for a couple of days. My wife, Debbie and daughter, Emma decided to drive to Portland to watch the Portland Thorns play on July 4th. On our return from Portland, we decided to drive home via Santiam Pass. As is usually the case, I was driving and family was sleeping. As we passed Mill City, I noted some intriguing cloud formations. We continued west and the clouds blossomed. There were layers upon layers of lenticular clouds stacked upon the Central Oregon Cascades. They were stunning in the daytime and if they held, they’d make for a fantastic Mt. Jefferson sunset photo. We were about 90 minutes from our home in Bend when I nervously asked if my gals were interested in an impromptu hike. 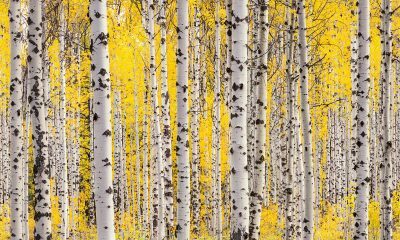 I sold them on the idea of a fantastic sunset and wildflower filled alpine meadows. I knew the answer before it was uttered. NO. A resounding No! I was not surprised. Although Debbie and Emma enjoy the great outdoors, they don’t like my outdoor surprises. Camping near a lake is more their style. I put my foot down, dropped my women off at home and immediately returned. 3 hours later the lenticular clouds were amazing. I got into the rare mind-set of being nervous yet eager. The clouds were mind-blowing and wildflowers were at their peak. This wouldn’t happen again and it wouldn’t last long. Mt. Jefferson Sunset, and my large format film camera. 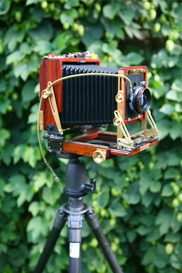 My 4×5 camera which I use to capture all of the images in my fine art landscape portfolio. I capture all of my fine art landscape photographs with the large format 4×5 film camera you see to the left. It is fantastic. It is archaic, It is slow. It is old, It is a work of art. With out my camera I wouldn’t be able to make the big beautiful fine art prints that help me pay the mortgage and add to Emma’s ever growing selection of soccer cleats! 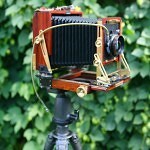 Despite the love I feel for my large format camera, it can be frustrating. In the photography world, there is an inverse relationship between sensor size and depth of field at any given aperture. For example, an iPhone has a very small aperture giving it good depth of field at an aperture of 8. My camera has a huge sensor( the film is the sensor!) and therefore it has a very small depth of field at an aperture of 8. There is also an inverse relationship between the size of aperture and depth of field. All this means is that, because I shoot a large format camera, I often need to use small aperture values and therefore I tend to have long exposure times. this makes wind and low lighting conditions my enemy. Even a slight breeze during a 2 second exposure will ruin a wildflower filled scene. For this Mt. Jefferson sunset, I need long exposure and miraculously, Mother Nature cooperated! the light was like none i’d eve experienced. Absolutely sublime! Layer upon layer of alpenglow infused lenticular clouds were stacked on Mt. Jefferson’s handsome shoulders. 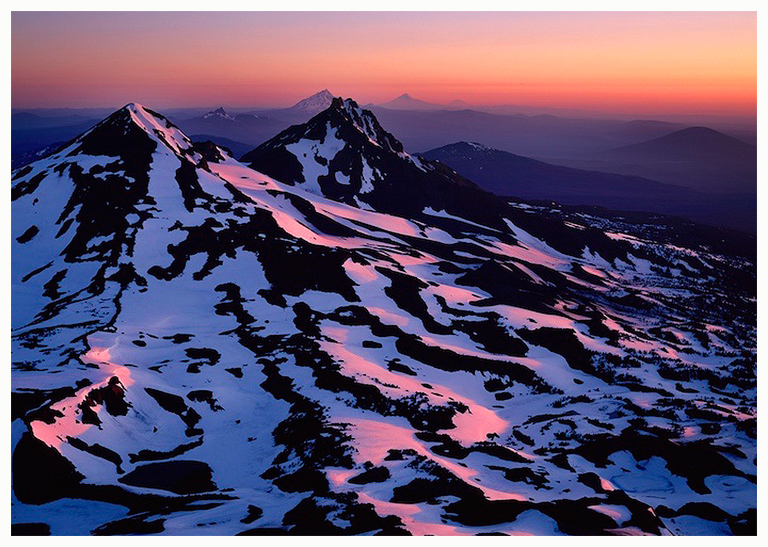 Because there were no clouds behind me and there was no direct sunlight on the scene, this fine art print of Mt. Jefferson has wonderful detail in the foreground. This fine art photograph was captured with a single exposure( as all of my prints are) and without the use of any filters. Rare and fantastic light conditions combined with gorgeous subject matter to make for a gorgeous fine art photograph of Mt. Jefferson at Sunset!